Crossing mountains from Norway to Sweden. Left Deb and Barb to travel further north in Norway as we crossed into Sweden. 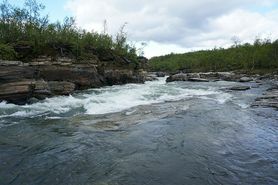 We went for a short hike along the 450 km Kungsladen (Kings Way) in Abisko National Park. Very cold and damp. Down to 7C in the truck that night. 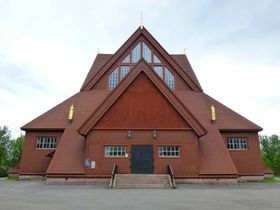 Bokenäs Old Church, Kiruna founded in early 12th century. 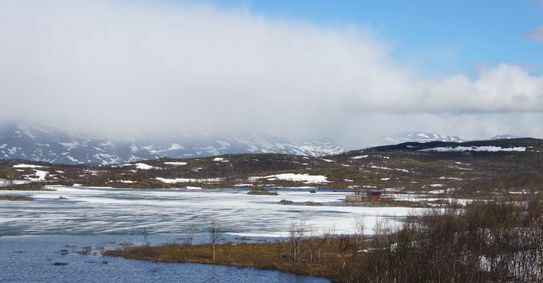 Passed through the mining town of Kiruna and on to look at the site of the Ice Hotel - all melted away now. Forests, lakes, streams and roadsigns warning of elk dominate the countryside. We camped near Muddus National Park. 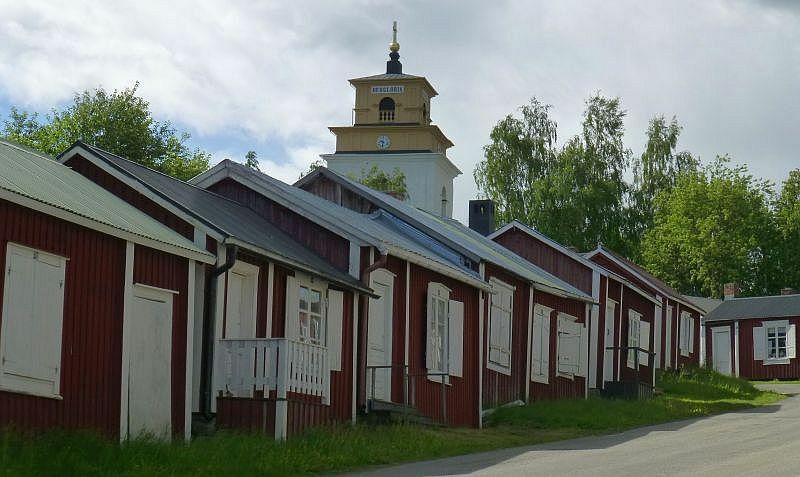 Drove through to Jokkmokk where we went to the museum which showed how northern Sweden had gone from Saami population to settlers coming up from the south in the 15th century. Continued south, crossing the Arctic Circle. Reindeer feeding on th side of the road. 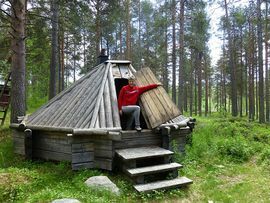 Saami dwelling, sometimes they are covered in turf. We visited Gammelstad Church Town which consists of over 400 small timber houses around a 15th century stone church. 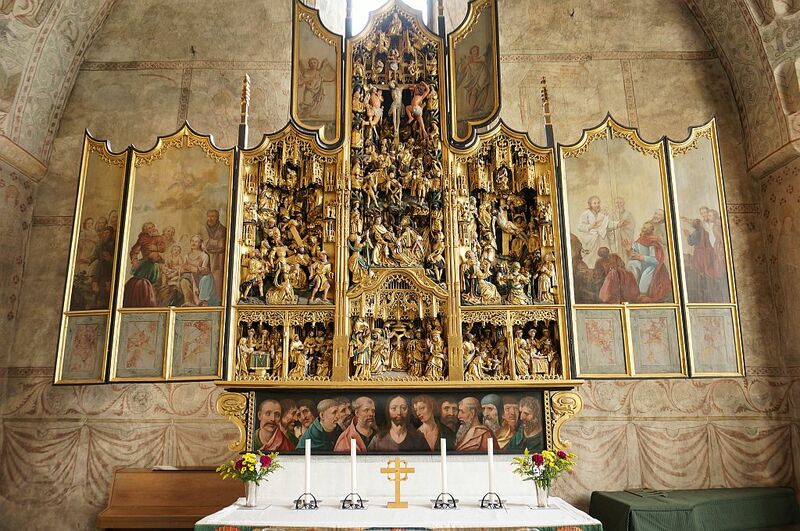 The houses were originally built to house people who came from afar for the church service but could not return home the same day. The weather had been cold, windy and overcast with occasional sun showers until the sleet! I think it beats Melbourne. 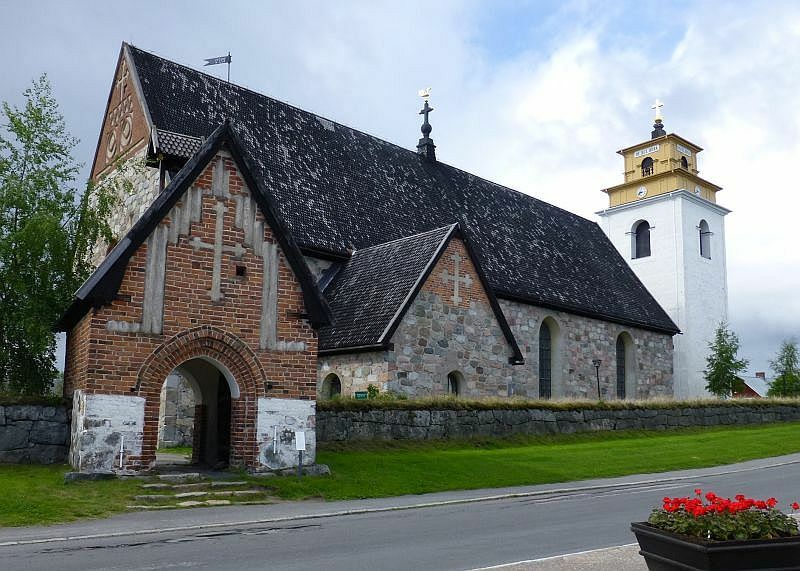 15th century stone church at Gammelstad. 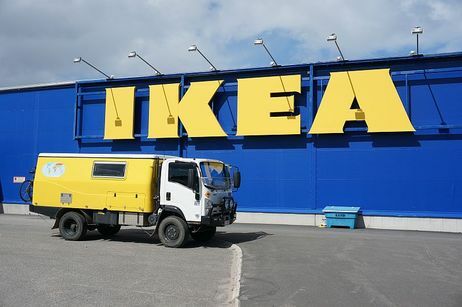 Our last stop in Sweden was in Haparanda at the largest IKEA in the world.